The Victoria and Albert Museum now regards itself as a “multi-site” institution, following the opening of V&A Dundee this coming weekend. At the meeting of its trustees last May, the museum’s London-based director, Tristram Hunt, introduced a discussion paper on how resources should be deployed “as the V&A moves to a multi-site model”. Last December the V&A Gallery in Shenzhen, China was opened—and now there is V&A Dundee. Both out-of-London projects are quite different. The Shenzhen gallery, part of a new property development, is commercially-driven to raise substantial funds for the V&A, initially for a 5-year period. 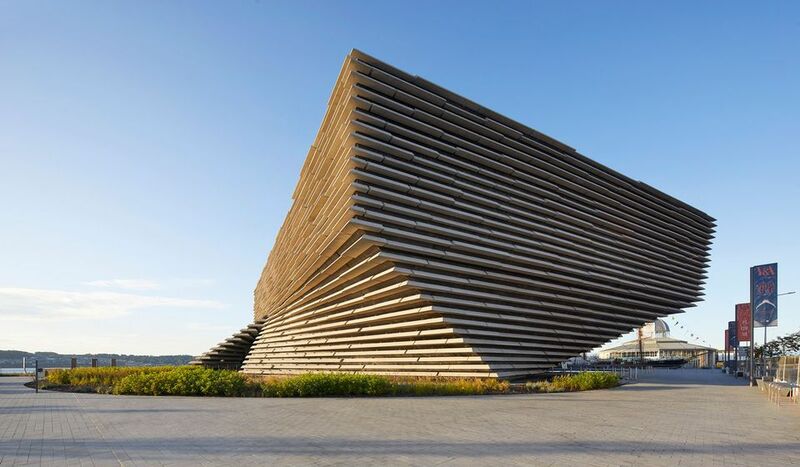 V&A Dundee is being run and funded by Scottish backers under a 25-year arrangement, with the London museum providing its name, loans and touring exhibitions—to share its collection within the UK. The V&A is also developing its presence in east London. The Museum of Childhood in Bethnal Green has been a branch since 1974. The two planned former Olympic site projects near Stratford, a massive new gallery and a separate storage facility, will be directly run by the South Kensington museum. Both are due to open in 2023. The challenge for the V&A’s multi-site strategy will be to cope with such disparate projects, with competing demands for funding and personnel. V&A Dundee’s £80m building and inaugural displays represent a triumph for Scotland. The dramatic building, designed by the Japanese architect Kengo Kuma and jutting out into the Tay estuary, has been likened to a huge ark. Its exterior provides an eye-catcher in an architecturally bland site between the city centre and waterside. Inside it has a spacious atrium with a café and well-designed galleries on the upper floor. The temporary exhibition gallery, as large as those in the major London museums, opens with Ocean Liners: Speed and Style (until 24 February 2019). The exhibition looks even better than when it was shown in the museum's South Kensington location last spring. The permanent display on Scottish Design comprises 300 objects, mostly on loan from the V&A, in a presentation that is both attractive and informative. 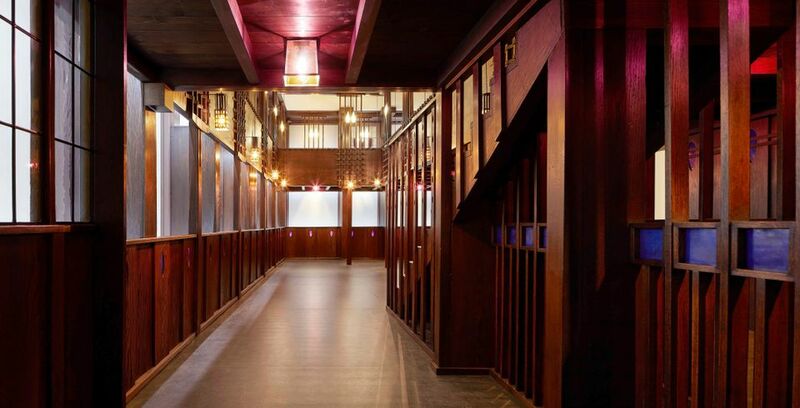 In its centre lies the reconstruction of Charles Rennie Mackintosh’s Oak Room, a 1908 tea house which was disassembled in 1972. The challenge for V&A Dundee will be long-term financial sustainability—and to maintain its initial high standards. Philip Long, the director, expects 500,000 visitors in the first 12 months, stabilising at around 350,000 after the initial opening excitement. For a city of 120,000 this is ambitious, but Edinburgh and Glasgow lie within an hour or so’s travel. Of the 350,000 visitors, perhaps up to a fifth may pay to see ticketed exhibitions, with the remainder going to the free Scottish design gallery or simply enjoying the building. Although full-price exhibition tickets are £11, there is a range of concessions, so ticket income is only likely to bring in something like £500,000. Catering and shops will provide further income, but a substantial subsidy will still be required. Long says that running costs will be around £4.5m, which will come from public funding, private donations and commercial income. The Scottish Government has pledged £1m a year for ten years, with an extra £361,000 for the first year. Dundee City Council is the second largest source of funds. Other partners are the University of Dundee, Abertay University and Scottish Enterprise.